I have been on this diet for 7 weeks as of 8/27/07. In that 7 weeks I have lost a total of 44 pounds, plus many inches and I have had 2 periods, as well as many of my symptoms that I once had are now gone! I still have 61 more pounds to lose in order to reach my goal weight. 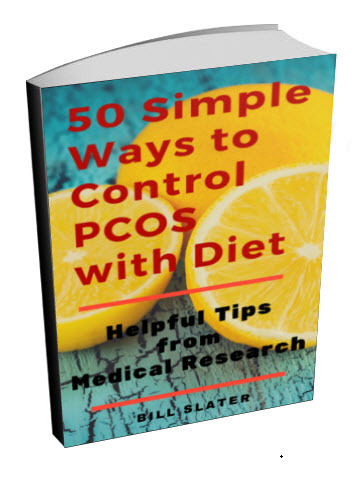 I am pleased to inform you that I have been on your PCOS diet, following it EXACTLY as your book reads! Here are the problems that I had prior to starting this diet: PCOS for approx 14 years, infertility, serious weight gain that continued to increase over the years, especially in the last 6 months when my symptoms had begun to increase in variety such as, tender breast, no menstrual cycle for 6 months, heartburn, nausea, water retention. I honestly thought that I was pregnant because of all the symptoms - even though my tubes are now tied, three blessings of children later, however several blood pregnancy tests, labs, and three ultrasounds proved otherwise! 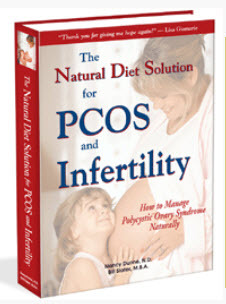 I was NOT pregnant, & what was happening is that my PCOS was in fact acting up full blast causing all these symptoms. I felt terrible, bloated, & just tired out with no energy, not to mention extremely uncomfortable & unhappy with myself. Needless to say I prayed for God to help me find an ALL NATURAL ALTERNATIVE to treat this PCOS and get myself feeling better & healthier! Soon after I came across your website, and I was in tears over the wealth of information. I researched everything that you stated (as I'm very skeptical) and since working in the medical field for over 15 years (in hospitals specializing in intensive care) everything must make sense to me medically before I would consider trying it! Well, After hours & days of non-stop research about your information,...it all made perfect sense without a doubt! I was convinced this is it! 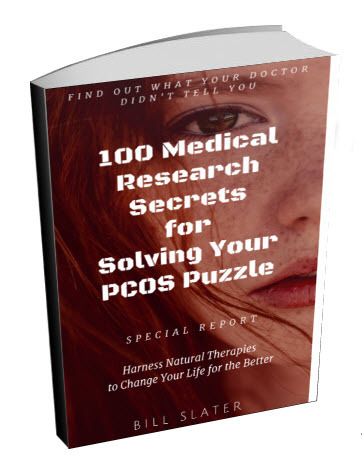 You two had found the most perfect solution to treating this PCOS! I e-mailed you right away with a thank you in regards to your website & information provided. 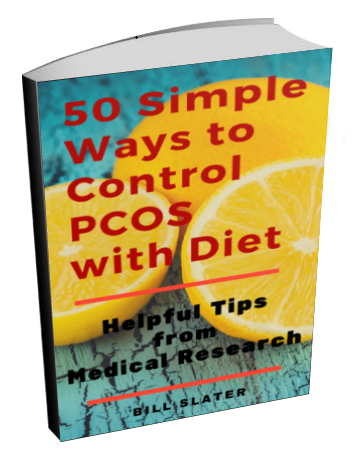 After reading your entire book, I instantly started this PCOS diet the following Monday. Here are the results that I had: the very FIRST week after staring this diet (as I weigh in every Monday - in front of my kids & husband - to help hold me accountable) I lost 20 lbs!!! That was in the very first week (with no exercise). I also started my period exactly 3 days after staring this diet! Of which I hadn't had a period in 6 months & the doctors wanted to take pills to start one, but I decided to try this diet instead! I am so thankful I did! Anyway, the 2nd week I lost 6 lbs (I also started to walk a little), the 3rd week I lost 5 lbs, the 4th week I lost 4 lbs, and the 5th week (today as I write this letter) I lost 1 lb. All total I have lost 36 pounds in 5 weeks! I have faithfully stuck to this PCOS diet exactly as you have instructed! NO dairy products, and NO refined carbs! I can honestly say that I have also noticed many other changes such as: NO more heartburn, nausea, tender breast, bloating, etc. My symptoms are all going away, I feel full all the time, I don't have anymore cravings for junk food (& I was a carb & ice cream lover) I don't even crave it at all anymore! My husband & kids are all eating organic and healthy as well with me! They are all feeling better too! My husband even noticed his circulation getting much better, as did I! Now, I still have a lot more weight to lose, however I am extremely optimistic and will continue on this healthy PCOS diet. I am dedicated & look forward to more positive results! 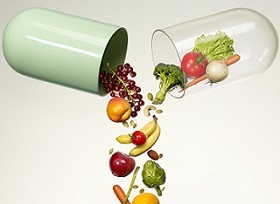 I did just recently order the vitamins that you have listed on your website and just started taking them too. Sorry to be so long however I felt that it was necessary to cover the briefing of my PCOS past along with the wonderful PCOS diet you provided & my success to date. I plan on sticking to this diet until my goal weight, and then afterwards I will continue on eating all of this healthy, organic, all natural foods that you have educated us on! Thank you! I have told everyone everywhere I go about you and your website! I appreciate all your time & effort that you put into your research! Your dedication and sincerity to helping those with PCOS is truly evident without a doubt in my mind, I have a special place in my heart for the both of you! I pray that anyone else who comes across this website, will give this all natural treatment a 100% dedicated try, following as I am, and they will be amazed at how much their body & health will change for the better! I look forward to the day when I go back for my annual and they can't find any indications PCOS internally either! Because if I am noticing this many changes on the outside & symptoms wise, I know there are good things changing on the inside too! THANK YOU & GOD BLESS!!! I love you both so much!!! I forgot to mention that I started the very first week without exercise, however, each & every week I have added & increased an exercise routine. I started out by walking a little bit each day (we live in the country so I walk on the roads), I gradually increased my distance to approx. 1-1/4 miles now. Of which I actually even jog (at an even pace) approx. four times throughout that 1-1/4 miles. So I basically walk, jog, walk, jog & so forth. I also have a Tony Little's Gazelle exercise machine, of which I intend on using too. I am planning on adding some weight lifting for toning purposes too, plus I am going to start adding more cardio to my daily routines as well. Matter of fact, I have push-mowed the lawn twice since starting this diet (we have just over an acre), and those were the first times in my life that I could ever mow a lawn without having to take my asthma medicine! 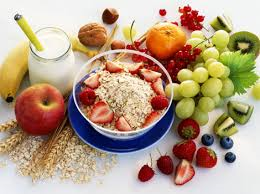 Therefore I truly believe that this diet is making a difference with other areas of my health as well. I am sorry this is so long! I guess I just can't say enough good things about this diet and healthy way of living. OH!!! One other important thing... I just started my second period Aug 15th since being on your PCOS diet! It has been exactly 34 days since the first period that I had just after I had started this diet. My husband, family & friends are so amazed about how I could never cycle normally for so long and would go 6 to 12 months without a period, and I used to have to take pills to induce a period. But, not anymore! 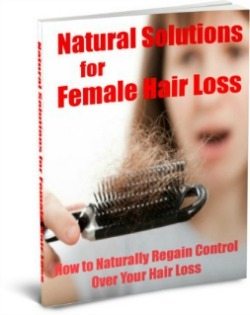 Now I can finally have them naturally, thanks to all your research, information & knowledge. This diet has been a blessing beyond measure in my life! I can't possibly thank you enough. Wow! Two menstrual cycles within the right time frame, by following your diet! I am still in shock about the wonderful results I continue to have. I am truly amazed and sincerely, happy! Update - 57 POUNDS GONE & 4 PERIODS All Naturally! I have now lost a total of 57 POUNDS from being on this PCOS diet for 4-1/2 months. I have had 4 PERIODS, all naturally, & due to this diet & God! I have noticed a slowing down on the weight loss, due to hitting a plateau. No worries though, as I'm confident that my body will re-adjust itself & the extra weight will continue to come off. Especially since I am following it faithfully! This diet is obviously still working, as evident by my periods & continued weight loss (even through the slight plateau). God Bless! 11 Weeks into this life changing diet! I am so excited to update you on my progress! I have been on this PCOS healthy life-style (diet) for 11 weeks as of Monday 09/24/07, & have now lost a TOTAL of 53 pounds! PLUS, I have now had my 3rd period since being on this diet. I have never had such success with any other diet, but you have this planned out so well, anyone can do this! I especially appreciate the food list. 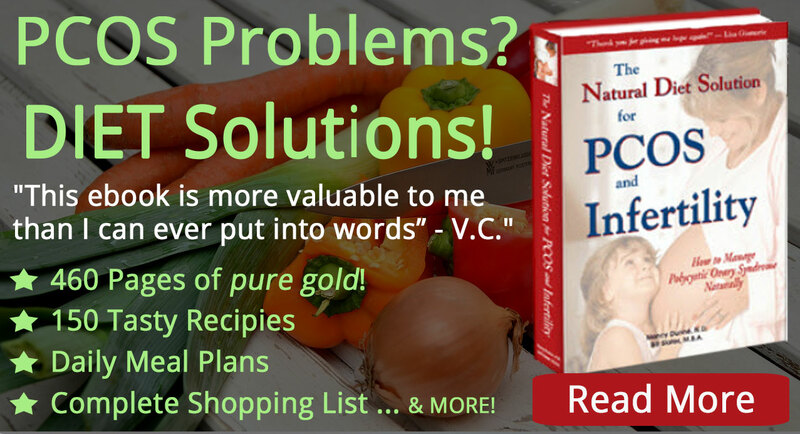 It makes it so easy to know exactly what foods to have or not have! I never go hungry & I don't crave any of the bad stuff anymore! I feel wonderful! Thank you! I feel your excitement in this story, and can relate to you in how amazing this diet has been for me, well I would call it a life style now=) Congrats to you!!! Update on my PCOS diet progress! Hello everyone! As of today, Monday 9/10/07, I have now been on this diet for a total of 9 weeks & have lost 48 pounds! I have now added bike riding as an additional exercise. I follow the PCOS diet, strictly! What is wonderful, is that I am actually eating! I do not feel hungry or deprived at all. Even my children love the recipes in the book & the food (when kids love it, that is a testimony to how good the food is)! I have created many recipes using the food list, that are also great! It's a blessing to be able to eat & enjoy all of these wonderful foods, lose weight, & better yet balance my hormones! I will keep you updated! Thank you!